I’m enjoying seeing your sketches. I liked yesterdays (Bergerac) as well! Enjoyed your dordogne gardening blog too… if I had more time, I’d really develop my 2500m2 garden but as it’s an estabilshed old garden, it doesn’t require too much time. 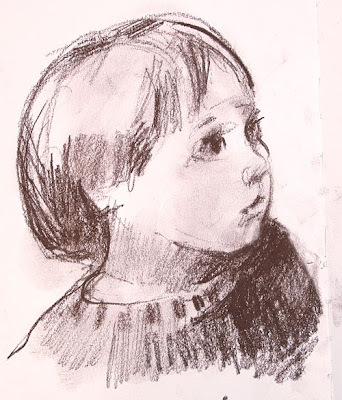 Great Sketch, so much innocence!